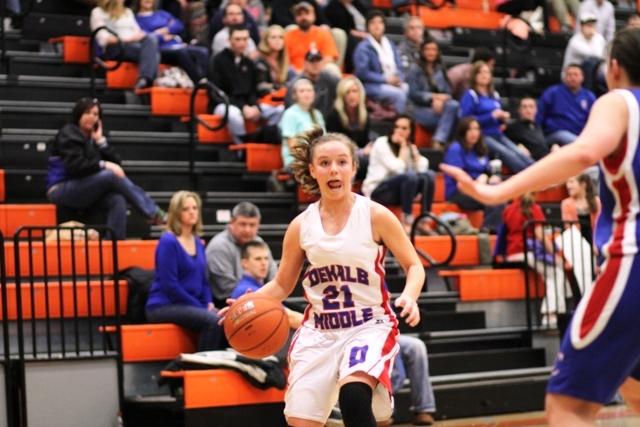 The DeKalb Middle School Lady Saints impressive run in the James C. Haile State Tournament wound up one win short Saturday night, as DMS fell to the Macon County Jr. High Tigerettes 45-28. 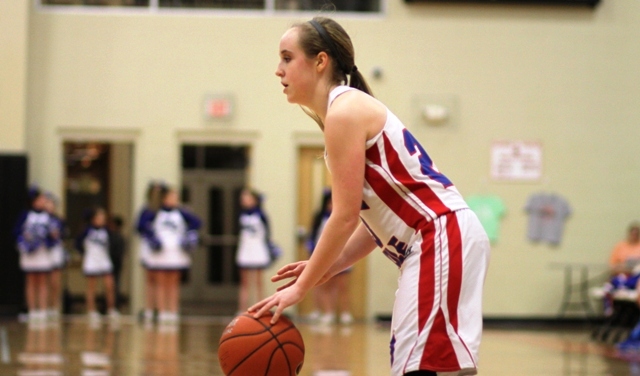 Joni Robinson led the Lady Saints in the James C. Haile Tournament Championship Game with 11 points Saturday night. She, along with Maddison Parsley, was also named to the All-Tournament Team. 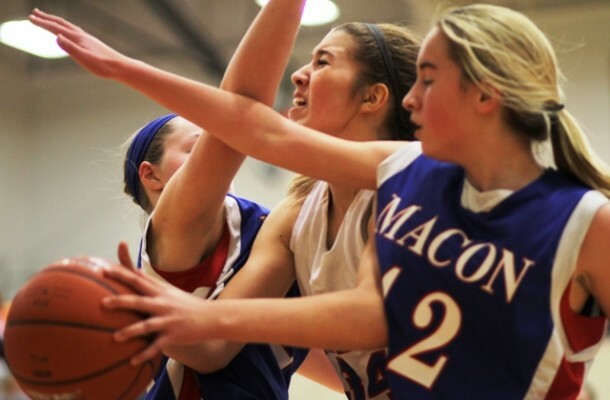 After an early lead, the Lady Saints saw Macon County take control of the game and never look back. Tigerettes, Keely Carter and Marah King were outstanding in the game, accounting for a combined 25 points for Macon County. Joni Robinson led the way for the Lady Saints, ending the contest with 11 points. Macy Hedge had 6 points for the Lady Saints Saturday night. Robinson was red hot early, leading DMS out to an early 4-0 lead. However, Macon County would go on a 9-3 run to close out the first period to give Macon County the lead after 1, 9-7. Maddison Parsley had 3 points for the Lady Saints Saturday night in the championship game of the James C. Haile State Tournament. She, along with Joni Robinson, was named to the All-Tournament Team. Macon County, behind Carter, would increase their lead in the second period, going on a 10-3 run in the period, with DeKalb’s only points coming from a Madison Parsley three with 1:35 left in the half. Still though, DeKalb wasn’t out of it, being down only 10, 19-9, at the break. Sophie Cripps had 2 points for DMS Saturday night. The Tigerettes would break the game open in the third, however, beginning the half with a 10-0 run to put Macon County safely up by as much as 21 at one point. Robinson would score twice with just over 2 minutes left in the third but Macon County would answer before Macy Hedge would convert on a plus one to bring DeKalb back within 18. McKaylee Mix would sink a bucket just before the buzzer, though, and DMS would enter the final period in a 20 point hole, 37-17. Macy Hedge, Julia Curtis would draw the Lady Saints closer in the fourth period, but Macon County would never allow the Red White and Blue to get within 17, ending DeKalb’s tournament run in defeat, 45-28. 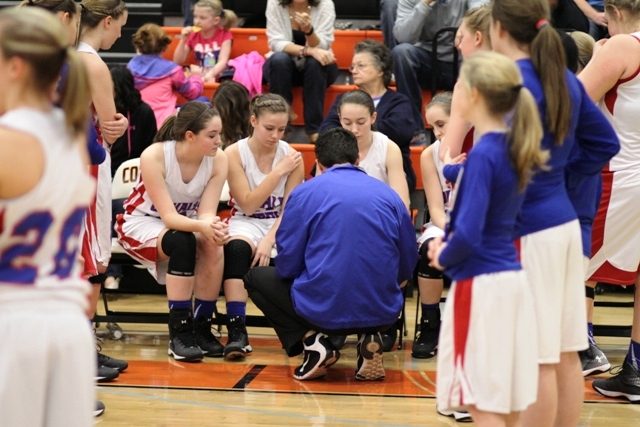 Lady Saints Head Coach, Josh Agee, talks to his team before the James C. Haile Championship game Saturday night. 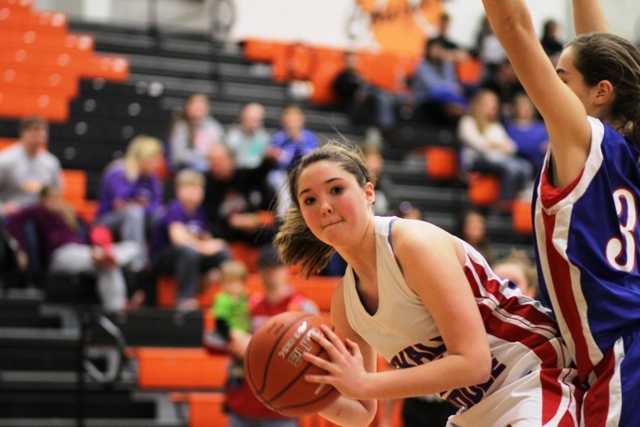 For the game, the Tigerettes were led by Keeley Carter with 13 points and Marah King with 12. 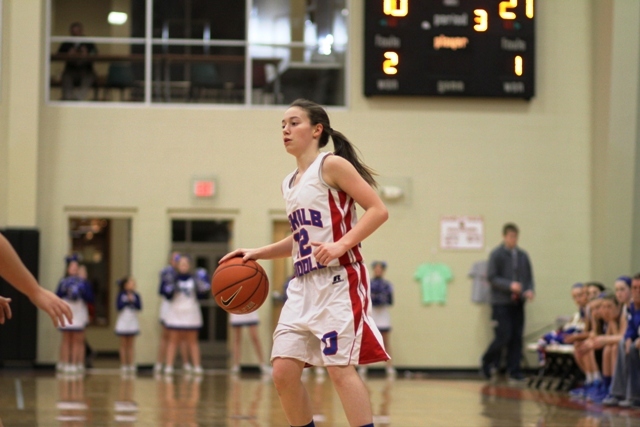 Jamie Ashburn had 8 points in the game while Jalynn Gregory and McKaylee Mix each added 4 and Allyson Shoulders had 2. The Lady Saints were led by All-Tournament player, Joni Robinson with 11 points. Macy Hedge followed with 6 points and Julia Curtis added 4. All-Tournament player, Maddison Parsley had 3 points in the game Sophie Cripps and Lera Britt each added 2. The Lady Saints will travel to Springfield next weekend to begin play in the TNT tournament which will be their last tournament of the 2014-15 season.